Where | Bir, west of Joginder Nagar Valley, Himachal Pradesh. Book your tickets from here. Guys, it’s a fact. Winters make you lazy but we have the perfect reason why you shouldn’t laze around. Ready to touch the sky? There is a weekend getaway happening this month and you have to go. 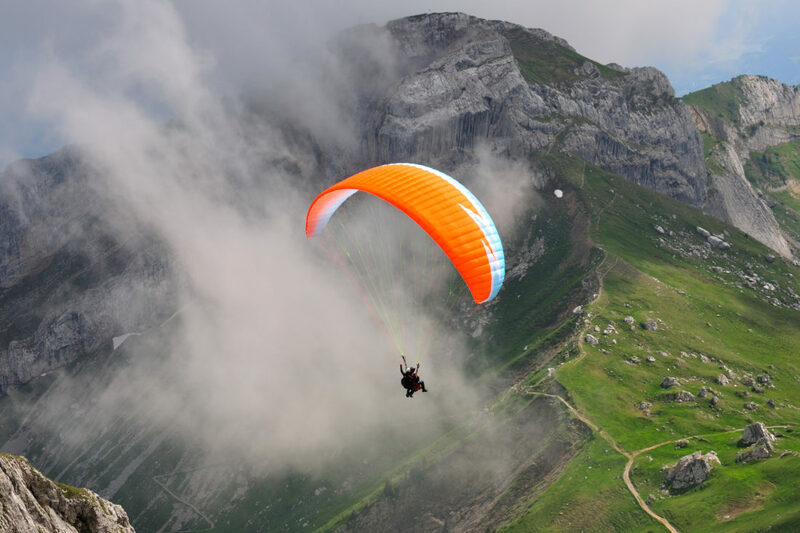 This getaway includes paragliding, trekking, camping and more!! Wanna know more deets? People, it’s time to leave our monotony of city life behind and get that adrenaline pumping through our veins. It’s time to let go of our fears, spread our wings and go ‘Up In The Air’! This 01 night/ 02 days adventure trip in Bir Billing offers adventures in different ways- Trekking, Camping, and Paragliding! You get to experience the commanding views of the village, town, gliders, monasteries and much more while peddling the mountain bicycles in Bir Valley. And if you’re one of us who admire sunsets then you can hike up to the sunset point to watch one of the most beautiful sunsets. Have You Heard Of This Adventure Sports Centre In Saket?